When you think of Texas and the energy resources it possesses, the first image that might come to your mind is an oil derrick. This is perfectly reasonable — Texas produces the most crude oil in the United States and more than twice as much as California. But oil isn’t the only energy resource Texas produces in large volumes. In fact, Texas also leads the U.S. in wind power production. And business is booming for the companies and communities in the Texas panhandle wind corridor. Many farmers and ranchers love wind because when they allow the turbines on their land, the operators can pay landowners leasing fees and even a small percentage of revenues. A report released this week noted that wind power represented 7.8% of total electricity production for most electricity consumers in Texas last year. This is up from 4.9% in 2008 — a huge increase. How did this happen? 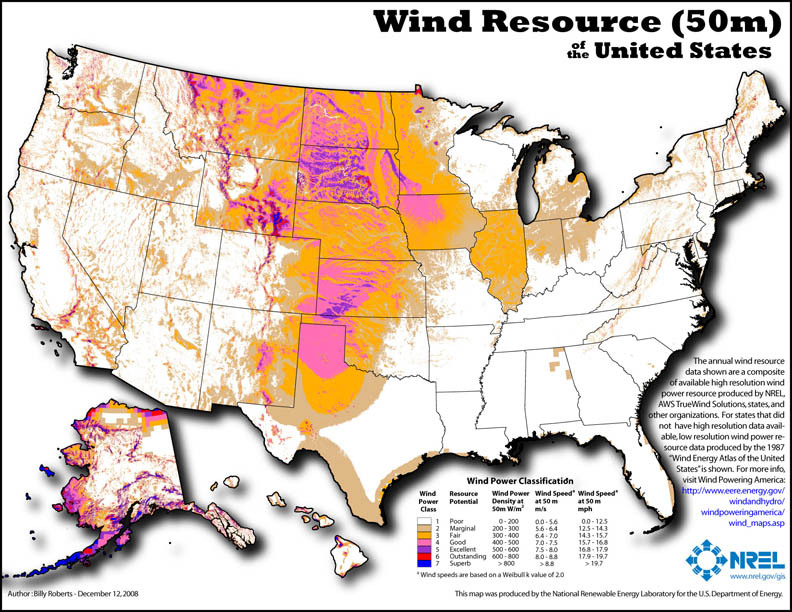 West Texas is sparsely populated (making it easier to find sites to construct wind turbines) and has strong natural wind energy potential. In addition, wind got some early regulatory help from a source that might surprise you. In 1999, then-Governor George W. Bush joined the state legislature to enact the Texas Renewable Portfolio Standard. This required all electricity providers in Texas to obtain an expanded level of renewable energy capacity, amounting to 2,000 additional megawatts of renewable energy capacity by 2009 (estimated to be about 3% of the state’s total generating capacity). Texas beat the standards four years early. So in 2005, Governor Perry signed a renewable portfolio standard upping the ante: The targets increased to 5,880 megawatts by 2015, and 10,000 by 2025. In 2006, Texas replaced California as the top wind farm state. And it hasn’t looked back. By the third quarter of 2010, Texas had installed 9,727 megawatts of wind power capacity. To put that in context, Iowa had installed 3,670 megawatts, the second-greatest capacity among the states. Installation in Texas has slowed only because the wind industry awaits investment in more electric transmission lines to transport the power to high-populated areas. It’s also interesting that Governor Perry, despite his public opposition to action on climate change, has embraced the success of his state’s wind power industry. This expansion of the wind industry is good news for the economy in Texas. And it’s also good news for the planet, as expanded renewable energy capacity means reduced global warming pollution. However, as our Chairman noted in 2009, success stories of wind installations in west Texas are somewhat compromised when the parts used in the installation are manufactured in China. Let’s hope that we see continued growth in wind power capacity, fueled by manufacturing in the United States. © 2011 The The Climate Reality Project. All Rights Reserved. The Repower America Web site is shared by The Climate Reality Project and the Climate Protection Action Fund. Learn more about the distinction between the efforts of these two organizations through Repower America.